They will vote in November on whether to abolish an article of the state Constitution so that the controversial monument may be returned to their Capitol grounds. 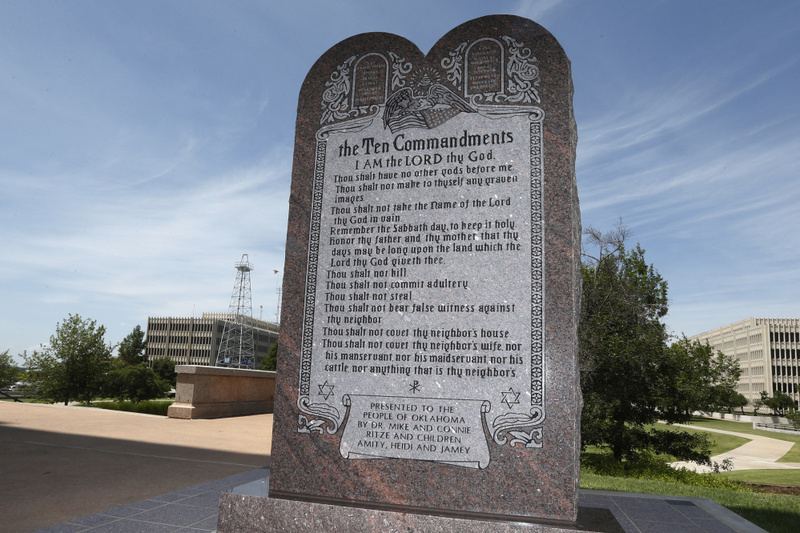 OKLAHOMA CITY — Oklahoma voters will decide in November whether to abolish an article of the state Constitution so that a Ten Commandments monument can be returned to the Capitol grounds. The House voted 65-7 late Thursday for a resolution calling for a statewide vote on whether to remove a constitutional prohibition on the use of state funds to support a religion. The state Supreme Court relied on that section of the constitution in June when it ordered a 6-foot-tall granite Ten Commandments monument moved from the Capitol grounds. The monument’s removal angered many Oklahomans, particularly Republican lawmakers who vowed to return the monument to state property. Originally authorized by the Republican-controlled Legislature in 2009, the privately funded monument has been a lightning rod for controversy since it was erected in 2012, prompting a lawsuit from Bruce Prescott, a Baptist minister from Norman who complained it violated the state constitution. Its placement at the Capitol prompted requests from several groups to have their own monuments installed, including a satanic church in New York that wanted to erect a 7-foot-tall statue that depicts Satan as Baphomet, a goat-headed figure with horns, wings and a long beard. A Hindu leader in Nevada, an animal rights group and the satirical Church of the Flying Spaghetti Monster also made requests.